Different versions of the ALPC offer either automatic sample feed or manual sample feed. 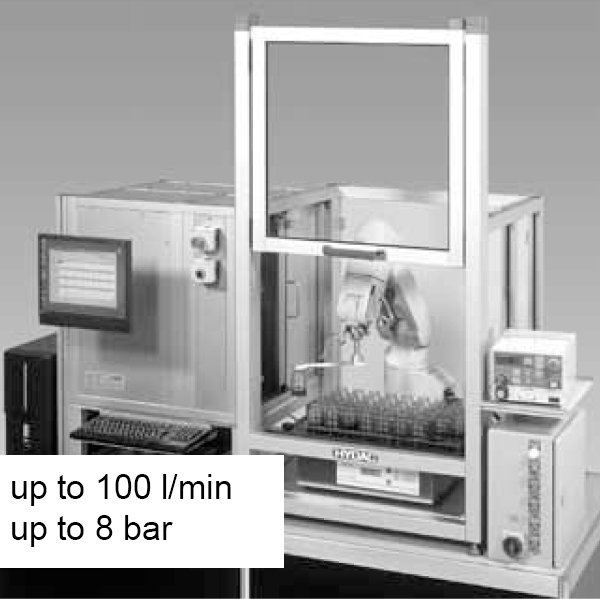 On one hand, automatic sample feed happens by means of 5-axis robotic arm (batch processing); on the other hand, manual sample feed happens by individual sample bottles. What’s more, very short measuring times permit analysis of up to 500 samples per day.